Los Angeles, 2049. Thirty years have passed since Deckard and Rachael fled the city to make a life of their own. The futuristic cityscapes created by visionary director Ridley Scott were the perfect backdrop for one of the most influential science-fiction films of all time. While the creative team may have changed for Blade Runner 2049, the cityscapes remain for one of the best experiences I’ve had at the cinema in 2017. 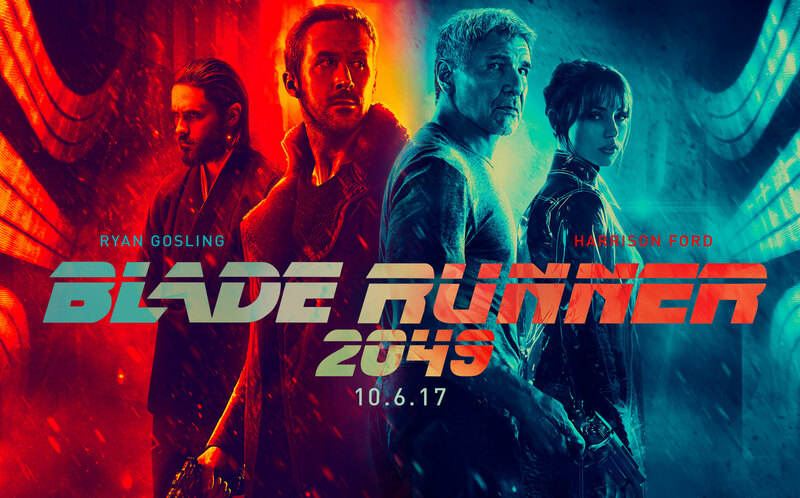 When K (Ryan Gosling), a young blade runner, uncovers a long-buried secret that could change the future for both humans and Replicants, he tracks down former blade runner Rick Deckard (Harrison Ford) for answers. It’s no secret that audiences didn’t take to Blade Runner straight away upon its release in 1982, people not seeing the mark the film stamped in the genre of sci-fi or film history until the years after. Several versions of the film and over thirty years later, Denis Villeneuve brings us Blade Runner 2049, a direct sequel and continuation from Scott’s final cut of his original film. Villeneuve, who I’d have to describe as a visionary, is one of the most exciting directors working today and he brings his A-game to Blade Runner 2049. It’s always risky making a sequel after such a long time, especially for a film as renowned as Blade Runner however, from the very get go, it’s clear that this film is being made by someone who is incredibly indebted to and respectful of the original. This is a beautifully crafted film, visually stunning and utterly engrossing in its narrative. I was worried about how they would take the story forward but knowing nothing about the plot and going in blind worked wonders because I was gripped from the opening shot to the very last. The runtime could have been an issue but when the film is of such a high quality, it ultimately flies by and finishes too soon if anything. The work from Roger Deakins on the film’s cinematography is nothing short of masterful, surpassing Jordan Cronenweth’s work on the original which is no easy task. Deakins has never won the Academy Award and if he doesn’t for his work on Blade Runner 2049, I’ll lose hope in him ever picking up the award. The music from Vangelis in Blade Runner was mesmerising and while both Hans Zimmer and Benjamin Wallfisch ensure this film has an impressive soundtrack, it never comes close to topping Vangelis’. Coming to the performances, Blade Runner 2049 features a cast intent on making this as memorable as the original. Ryan Gosling leads the film with an impressive performance where the subtlety of facial expressions are as important as the delivery of lines, leading to arguably Gosling’s best performance to date. The returning Harrison Ford is as gruff as you’d expect as a Deckard who’s been in hiding for thirty years, his pivotal role in the film surprising yet incredibly worthwhile. The supporting roles, ranging from minor to major, are filled by plenty of capable actors, whether it be Jared Leto’s mysterious turn as Niander Wallace or Robin Wright’s authoritative showing as Lt. Joshi. The pleasant surprise was Ana de Armas, who I didn’t think too much of as an actress prior to this film. Blade Runner 2049 is a heavy dose of pure science fiction that will leave a lasting impression on the genre for sure. With this and Arrival last year, Denis Villeneuve seems to be on a one man mission to make sci-fi great again.